In the late 1920s, after Abp. Aftimios Ofiesh (the successor to St. Raphael in the see of Brooklyn and the subject of my M.Div. thesis and possible future book) had in 1927 established, with the blessing of the Russian Metropolia, the so-called “American Orthodox Catholic Church,” he engaged in something of a debate via correspondence with Abp. Alexander Demoglou, the Greek archbishop for America. In the debate, he repeatedly made the claim that the Russians had for 130 years had jurisdiction in America, and that since 1927 his new autocephalous jurisdiction was the sole canonical authority for the United States, as the rightful successor to the Russian presence. He also asserted that all Orthodox in America had accepted Russian authority prior to the 1921-22 establishment of the Greek Archdiocese. Alexander’s replies to Aftimios are consistent in asserting the now-infamous interpretation of Chalcedon Canon 28, namely, that the Ecumenical Patriarchate has jurisdiction in the “diaspora.” He also writes that Alaska, while it was Russian territory, rightly belonged to Moscow, but that it is another thing entirely to “jump” from there to Canada and the U.S. The Canons, which you mis-quote, do not apply in the case of the Orthodox Church in America. They regard certain provinces, particularly rural localities, outside the defined limits of established Patriarchates or autocephalous Churches or Metropolises. How could it be otherwise, since, in accordance with Canon 28 of the Fourth Oecumenical Council, (and as you confess in your letter) the Oecumenical Patriarhate (or as you rather contemtuously prefer to call it the Constantinople Patriarchate and the Constantinopolitan Bishops) “has the primary right to assert jurisdiction over the faithful in the Diaspora”, (which includes American as well). Such being the case, it makes no difference if our Russian brethren attempted to impose their ecclesiastical rule in a territory canonically accorded to the Oecumenical Patriarchate, no matter if these attempts lasted for 3, 30 or 130 years. Te lawful incumbent does not thereby lose his rights to the pretenders. The Russians were all this time conscious of their precarious un-canonical standing, and that is why they exercized, during the Tsarist Regime immense political pressure to bear upon the Oecumenical Patriarchate to force it to accept and recognize the Russian claims over the Orthodox in America. In selfdefense, the Patriarchate temporarily conceded the Churches of America to the Church of Greece. You are, no doubt, familiar with the sinister designs of the overthrown Tsarist Regime of Russia, and, especially, of the then powerful Pan-Slavistic Society, seeking to promulgate, under the cloak of religion, the abortive ends of the oppressing Tsarist Russian Imperialism. Being of Syrian descent, you must of course be aware of their intrigues in connection with the Patriarchates of Antioch and Jerusalem, with Mt. Athos and so on. Likewise, American Orthodoxy felt the weight of similar designs and intrigues. Therefore, you are not supposed to be taken by surprise, when we speak of Tsarist pressure. This was new to me. I had heard of pressure from the Turkish government on Constantinople due to Greek priests in America engaging in anti-Turkish activities, but this is the first time I’ve read about there also being “Tsarist pressure.” No doubt this fell on fairly deaf ears, since the Tsarist government was looked upon by many Arab Orthodox Christians in the Middle East as a benefactor. It is not true that any group of Greeks in America did ever willingly recognize the asserted Russian jurisdiction in America. On the contrary, it is historically true, that they fought staunchly these baseless claims, especially in 1907, when the Russian Church tried to legalize their pretentions by legislative act with the legislature of the State of New York. The Greeks rose as one man and happily annulled these designs. It is also a contravention of the true for you to assert that, at the time I came to this country, “I found one of your Syrian Priests (presumably the Rev. Joseph Xanthopoulos) in charge of a Parish of Greek people under your jurisdiction.” The Greek Communities of Wilkesbarre, Pa, and Scranton, Pa., where the said Priest has served, belonged always to the Greek Church. And not only the Greeks, but also the most important sections of other Orthodox nationalities in America, did and do reject the Russian jurisdiction. We had in the past, and, espesially after the war, we have numerous national Orthodox Churches in America, like the Serbian, Rumanian, etc. which ignore entirely the Russian authority and are under the direct jurisdiction of their respective Churches in Serbia, Rumania, etc. The same is true and even more so with the Syrian Church, where, perhaps the majority of the Syrian Orthodox in this country, opposed and still oppose you and your Russian superiors. There are more than one schisms in your own Church. Some remain faithful to the Patriarchate of Antioch and to its representative in America, Bishop Victor; others recognize the Metropolitan of Selefkia Germanos; still others are “independent”. Thus, your assertion that the Russian Church and its creations in America were universally accepted by the Orthodox people in America, and that they “governed the whole North American Province undisputedly, peacefuly and without opposition”, falls to pieces. I believe, one is justified to add here, without malice: My brother, before attempting to put in order your neighbor’s house, first, put in order your own household. …your superior prelates of the Russian jurisdiction, by an official communication of theirs, as far back as 1921, “look to me and to my Canonical Superiors as the head in America North and South of the interests of the Hellenic members of our faith” and “until further action by the Oecumenical Patriarchate at Constantinople … are in full Communion with me, as the only valid and Canonical head of the Hellenic Mission for care of the spiritual interests of citizens and former citizens of the Kingdom of Greece” etc. In any event, the 1920s and 1930s remain, for me, one of the most fascinating periods in the history of Orthodoxy in America. [*]Manolis, Paul. The History of the Greek Church in America: In Acts and Documents. Berkeley: Ambelos Press, 2003, pp. 1551-57. I was under the impression that this website was going to provide primary sources. Perhaps I am wrong. In searching around the website, I see a lot of articles, some of which include snipets of primary source material, but nothing approaching what i was expecting to see…which was the full, unvarnished English primary source documents. Was I mistaken? Is it here somewhere that I am not seeing? Most of the articles here are making references to primary sources, as you’ve noted. You’re not mistaken, though I think perhaps you’ve mistaken this weblog for an archive of primary source documents. As yet, we are not hosting an archive of full texts of primary sources, though that is one of the projects we have in the works. Much of that work has to do with working out the copyright status of the many thousands of documentary sources that our members have collected, what may legally be republished in full, etc. As you can imagine, this is a pretty big project. 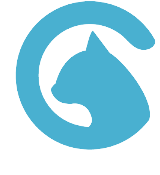 We have a number of projects we’re working on, including a journal and a newsletter. This weblog, which mainly consists of commentary and presentations of portions of primary sources (the kind of thing which is permitted under the “fair use” provisions of copyright law), is our first project which has come to fruition. The reason why we mention primary sources so often is because we’re concerned that those discussing Orthodox history in America do so by engaging those sources. Too much has been published that is based essentially on hearsay, or sometimes a circle of secondary and tertiary sources all quoting each other, but without anything underneath it all except appeals to authority. At the moment, we do have a number of links in our resources section which point to many primary (as well as secondary) sources on the web. On the OCL website I saw a note indicating that you were not aware of the occasion for which this picture was taken. I have a good guess because there were not too many pan-Orthodox hierarchal services taking place in this era. My guess is that this was the final service at which Metropolitan Meletios presided prior to his journey to Constantinople for his enthronement as Ecumenical Patriarch. Also, as to the reference above to the Russian Bishop’s acceptance of the Greek jurisdiction in America, I would suggest it be understood within the context of being subject to the Russian American Archdiocese, much as the Syrian jurisdiction was, though unstated, because he knew the Greeks wouldn’t see it that way. There was a little rapprochement between the Russian and Greek jurisdictions when problems began to increase with the Moscow relationship. The Greeks were experiencing their own problems at the time due to the presence of the Church of Greece’s Synodal Exarch in America. 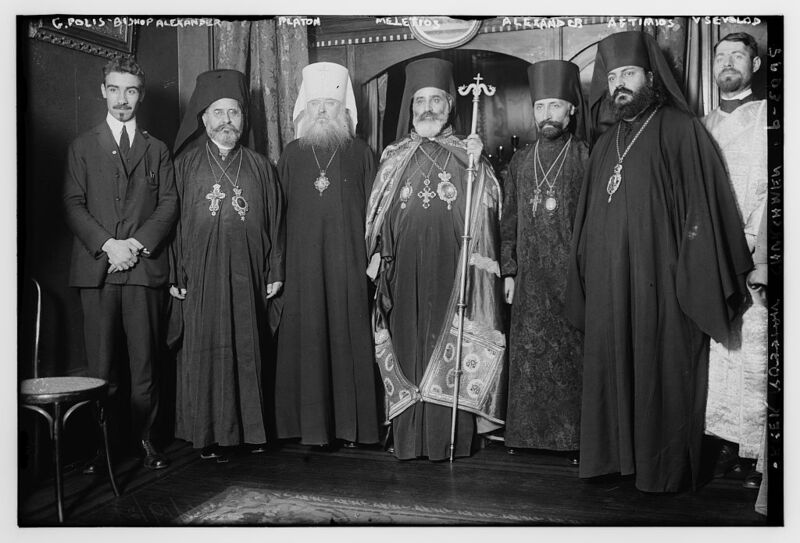 After Russian American Archbishop Alexander resigned the American Throne, he travel to Constantinople and participated in the Pan-Orthodox Congress of 1923 and was accepted as a representative of the Moscow Patriarchate by Patriarch Meletios IV. What you say about this photograph is possible. (Here’s the post you’re referring to, for those wondering.) It may well be that there was a hierarchical service held in conjunction with this meeting. But in the photo itself, no one is vested except for the deacon. Also, this seems to be in a house, apartment or office chapel rather than in any of the New York churches. It doesn’t make much sense to hold a hierarchical service in a chapel when there were some nice churches available at the time. So, while your suggestion is certainly possible, I don’t think we can (yet) say for sure that this is indeed from the farewell service before Meletios’s trip to Constantinople. As for the Greeks in America being under the Russians, there really seems to be no evidence that any but a handful of Greeks ever accepted Russian jurisdiction, no matter what the Russians themselves may have thought or wished. See various posts in the Pre-1921 Unity category for more on that. Your response to my comment #3 is quite logical; I’ll have to agree. Also, I never meant to imply that the Greeks ever considered themselves under the Russian-American Archdiocese, except in some very limited situations. In fact, that is why I am so pleased that I have come upon this site. The OCA has done an excellent job promoting their singular jurisdiction until 1918, perspective. But, I have always believed it to be wrong, factually. Not-with-standing the OCA’s corrupt leadership problems of the past 20 years, I have a great appreciation for the holiness of its history and present holiness in its parishes, living in an area as I do with a large (comparatively) population of Eastern Orthodox Churches. While I challenge the OCA’s historic propaganda, that doesn’t diminish my love for it and my prayers for its unified work within American Orthodoxy. The Greeks in the prior to 1918 era, were not organized as parishes, by and large. They were fraternal associations that offered Orthodox Divine Services and Greek School as a part of their community’s services. Even when the Church of Greece, under Metropolitan Meletios, established the Greek Archdiocese of North and South America, as it Exarch, +Meletios and his Synodal Representative, Bishop Alexander of the Titular See of Rhodostolon, had great difficulty organizing “parishes” under their authority, as we would know ecclesial obedience, primarily, because the societies were not constituted as parishes. More on this later, but I wish this site the very best in getting a factual history of our Holy Orthodoxy on this continent promoted and understood, which could help enable the unification of our Church into a single administrative jurisdiction. Fr. John Erickson wrote a very good paper which is relevant to this discussion — “Organization, Church, Community: Reflections on Orthodox Parish Polity in America,” published in the Greek Orthodox Theological Review in 2003. I can email a copy if anyone is interested. This might have more to do with the fact that both Meletios and Alexander had been both been deposed and defrocked by the CoG at the time, and none of the Greek Churches (CoG, Alexandria, Jerusalem, not sure of Cyprus) recognized either Meletios authority over any Greek, nor his election as Ecumenical Patriarch in 1921.